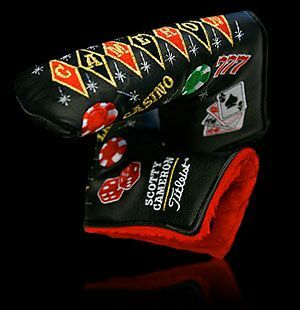 Scottys 2007 Las Vegas headcover may just be the luck your stroke needs. Give your putter a plush new place to chill with the 2007 Vegas headcover complete with rich red casino carpet fur. Speaking of winners, Scotty sprinkled in 100 special headcovers with this release. Like the luck of the draw in Vegas, a few of you hit the bonus jackpot, as these special headcovers were distributed completely at random.